Unipet has been manufacturing high quality dog treats and wild bird food since 1994. Specially formulated treat containing a unique blend of herbs dried mealworms and probiotics. Providing chicks and chickens with essential proteins and oils. Made in the USA. . . Hanging feeder for jumbo treats. . . . .
• Simply Hang and Feed! 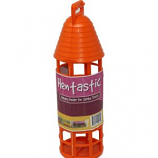 Great for feeding all hentastic chick and chicken treats. 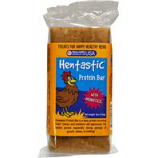 Use with dried mealworms herb treat pellets probiotic pellets chick sticks mealworm pies protein bar jumbo treats. . . .
A tasty protein boosting treat. Chicks and chickens will appreciate the added protein especially during periods of growth stress or molting. 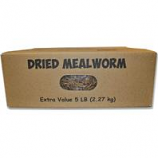 Mealworms grown in the usa. . . Extra value pack. Die-cut viewing window on box. 4mil interior bag for tear-resistance. . .